Welcome to Audi Asheville. 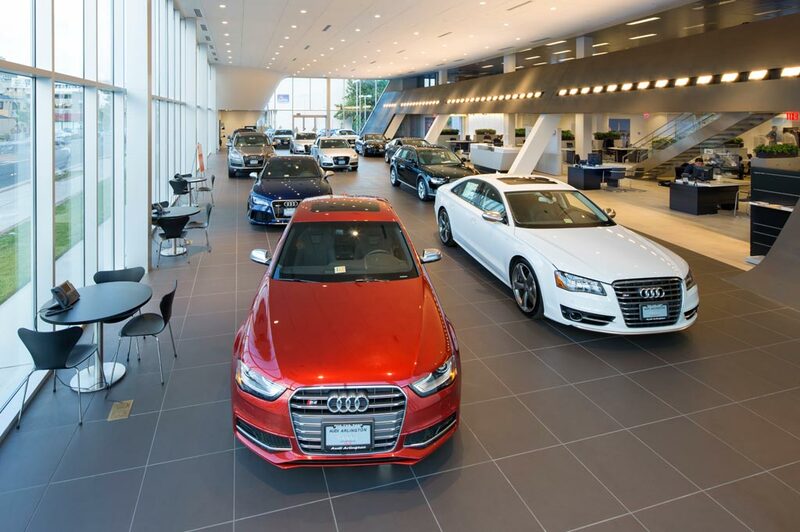 In addition to discovering a full range of your favorite new Audi models, you'll also enjoy the kind and accommodating brand ambassadors who are always pleased to assist you. Do you live in Asheville, North Carolina? Boone or Hendersonville, North Carolina? Or perhaps you're living the good life in the Volunteer State in Johnson City or Kingsport, Tennessee? Audi Asheville is here to guide you to your next adventure with superior German engineering. Whether you want a new coupe, sedan, or sport utility vehicle, we can help you find it. Our expanded selection of new and certified pre-owned Audi models are available for your exploration and to test drive on the nearby Blue Ridge Parkway. Our experienced and professional brand specialists at Asheville Audi can help you find the right vehicle to fit your needs in a friendly, relaxed atmosphere. We offer a comfortable and modern lounge with flat screen TVs, complimentary Wi-Fi, and refreshments. Do you like options while selecting a new Audi? You're in luck because you've come to the right place. With a myriad of new models ranging from the compact luxury of an Audi A3 to the enthusiastic power of an Audi Q7, you have options that will help you make the best purchase for your needs. When you find something that you like, get behind the wheel for a test drive to discover the exhilaration you've been seeking. And if you are in the market for a used car or SUV, know that each of our vehicles undergoes a rigorous, multipoint inspection before we offer it for sale. Our goal is to make every car look and operate like new. We promise to provide premium customer service as we assist you with the financing or leasing of your new vehicle. If you are not familiar in automotive finance and lease options, our financial experts can answer any of your questions to help you to make the best informed decision for you and your family. You may be thinking the relationship ends there, right? That is not the case at Audi Asheville! We want to ensure that your vehicle remains in optimal condition throughout your entire ownership experience. That's why our automotive specialists in the service department are factory trained and use only Audi certified parts. Now it's time for you to see our words in action. We encourage you to visit us at 621 Brevard Road in Asheville, North Carolina, at your convenience, or give us a call at (888) 449-5993.